Father Burner grimaced, the flesh rising in sweet, concentric tiers around his mouth, and said in a tone both entrusting and ennobling Keefe with his confidence, "The syrup, if you please, Father." Keefe passed the silver pitcher which was running at the mouth. Father Burner reimmersed the doughy remains on his plate until the butter began to float around the edges as in a moat. He felt them both watching the butter. Regretting that he had not foreseen this attraction, he cast about in his mind for something to divert them and found the morning sun coming in too strongly. He got up and pulled down the shade. He returned to his place and settled himself in such as way that a new chapter was indicated. The unearthly beauty of the music fills the car. Nathaniel listens: muted horns, strings, tapped blocks, sleigh bells, a linear vocal line lightly harmonized in thirds until, three-quarters of the way through, the music becomes vertical rather than horizontal, as the voices pile up in a series of increasingly complicated harmonies in a refrain--God only knows what I'd be without you--repeated and repeated and repeated, with a frightening emphasis on the word "what," until the voices fade out, having absolutely nowhere to go. This is the song, Nathaniel knows, in which Brian Wilson handed over his heart to God and simultaneously lost his mind. The song is Brian Wilson's favorite, the one he sold his soul for. After "God Only Knows" there were other songs, certainly, "Good Vibrations" and the rest of them, but the spirit had abandoned him: addressed not to a California girl, a sun-bleached surfer chick, the refrain had been spoken to his own spirit, his genius, which, in one of those ironies of which life is so fond, left him there and then. Baxter's novel takes place in the glorious Seventies, so his protagonist couldn't have known that in the long run, Wilson fared slightly better than Father Burner. After decades of disarray and drug-induced sloth (Wilson has admitted that he didn't even bathe for years at a time), there was a new chapter: Smile. The angelic falsetto was gone, but somehow his "teenage symphony," with its zany bursts of Americana, now hung together. Will there be another chapter to come? God only knows. I think at a certain point, he developed a certain animosity towards émigrés. You can find a few examples in his poetry, and an aggressive attack on Miłosz is in one of his poems, “Khodasevich.” I think Khodasevich was a very honorable man. With all my admiration for Herbert’s poetry and for Herbert, this is the poem that I absolutely cannot agree with or forgive. This is a very cruel statement on Miłosz and on émigrés. I’m not the only one who feels this way. If not for these émigrés, Herbert could never have had such an easy landing abroad. Miłosz was the one who started translating Herbert’s poetry into English. Adam Czerniawski, in one of his articles, emphasizes that émigré poets did a lot to popularize Herbert abroad. Many vouched for Herbert, found him stipends or jobs abroad. Herbert had a personal problem, but he projected it on émigré writers and on Miłosz. This projection was hurtful. That’s it. Still, both literary scholar James Sitar and poet William Logan have raised some doubts about the book's reliability. Logan, who compared about 30 pages of the original notebooks with Faggen's version, delivers the bad news in an impending Parnassus review: "Obliged though readers must be for this unknown Frost, the transcription is a scandal. To read this volume is to believe that Frost was a dyslexic and deranged speller, that his brisk notes frequently made no sense, that he often traded the expected word for some fanciful or perverse alternative." Stay tuned for further updates. It represents the Culture of Metrics at its worst, with a dose of some managerial quackery like Six Sigma stirred in for good measure: the more you write, the better you are. Quantity equals quality.... A reminder: art is not a popularity contest. Taste, talent, and discrimination have nothing to do with numbers. Case closed. Speaking of Stakhanov, I finally stumbled across the Russian edition of Amazonia. It came out some time ago, but the publisher never sent me a copy, perhaps to conceal the fact that the title has been changed to 32 Sales Per Second. This statistic appears nowhere in the English edition. 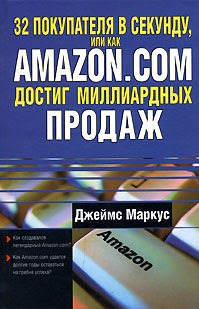 Nor, claims a customer reviewer in sternly Cyrillic characters, does it appear in the Russian edition. No doubt a transcription error of some kind. 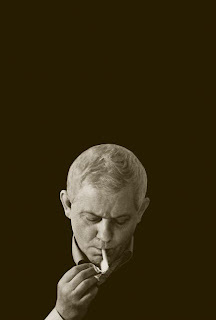 The Zbigniew Herbert book club over at Words Without Borders has now begun. What follows is my introductory piece. But I urge all readers to visit the WWB site for the full treatment, which currently includes this fascinating interview with Peter Dale Scott, the poet's first English translator. And if you're tempted to leave a comment (pro or con), please leave it at WWB, where we're trying to foster a real conversation. It was during the Nazi occupation, which began in June 1941, that Herbert wrote his earliest poems. He also took part in the Polish resistance, which would complicate his life immeasurably once Lvov fell back under Soviet rule. Having sworn even token allegiance to the Polish government in exile, rather than throwing in his lot with communist partisans, he was now, barely into his twenties, persona non grata. Herbert managed to attend the University of Krakow, where he earned a degree in economics, and later earned degrees in law and philosophy as well. Yet he moved around constantly, and as he later noted: "I began to putter around in a way that imitated work, just to keep alive." During one period, he helped to support himself by selling his blood. He also continued to write poetry. Due to his political status, publishing a book was out of the question. He did, however, begin to publish individual poems as well as reviews in such periodicals as Dziś i jutro and Tygodnik Powszechny. In 1956, a political thaw allowed the appearance of Herbert’s first book, Chord of Light. The collection won him wide acclaim, and he was no longer confined to Poland. He traveled to London, Berlin, and Paris (where he first met his mentor, friend, and occasional bete nôire Czeslaw Milosz), and continued to publish such collections as Hermes, a Dog and a Star (1957) and The Study of an Object (1961). 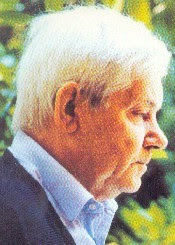 Herbert remained deeply involved with Polish poetry, serving as an editor at Poezja ("Poetry") magazine between 1965 and 1968. Yet his was a peripatetic existence, yielding such fruits as the wide-ranging essays gathered in Barbarian in the Garden (1962) and even a short teaching stint in Los Angeles in 1971. In 1981, after many sojourns abroad, Herbert made a permanent return to his homeland, "the treasure house / of all misfortune." It was a pivotal year in Polish history, as the government of Wojciech Jaruzelski declared martial law in December and began the biggest crackdown on civil liberties in recent memory. As a protracted tug-of-war got underway between the regime and the recently founded Solidarity, the 57-year-old poet threw his weight behind the dissidents. Throughout the 1980s, Herbert lent his name and prestige to the Solidarity movement. It was a long, grinding decade, during which the increasingly ailing poet struggled with asthma, circulatory problems, and depression. His public pronouncements grew harsh. In 1989, Solidarity gave its assent to the so-called Round Table agreements, which stipulated that the movement would participate in elections that were patently rigged against it. Many critics, Herbert included, considered this a disastrous concession. Even after Solidarity trounced the Communist regime and essentially sounded its death knell, the poet remained skeptical. In a 1994 interview he noted his ongoing disillusion: "We did not believe that we could become free.... No one pondered the question of what to do after victory, or how to deal with the defeated adversary. Then came this fatal 'Round Table' delivery--it did not even involve a caesarian section, rather it ended up with the birth of a brainless baby.... Many people, including myself, felt an almost physical pressure of the political forceps at that time." True to form, however, little of this bitterness found its way directly into Herbert's poetry. Mr. Cogito made his final appearances, "wearing his soul / on his arm," and elsewhere the poet regarded the failing apparatus of his own body with stoical regret. There was even a comical episode of navel gazing: "This is the most endearing spot the body's city / for nine months a blind telescope on the world / until at the last minute the fire brigade arrives / a sudden caesura / and it’s on its own doomed to love..." ("Navel"). For several years during 1990s, Herbert's health problems prevented him from writing any poetry at all. But in 1997 he was briefly able to resume, composing enough poems for a valedictory collection, Epilogue to a Storm. The book was published in early 1998. Just a few months later, on July 28 of the same year, Herbert died in Warsaw at the age of 73. His reputation, predictably the target of some revisionist slings and arrows in his native Poland, has only grown since his death. Whether he should be viewed as a poet of resistance or an ontological Magellan--or both, just as Mr. Cogito was half Don Quixote, half Sancha Panza--is an issue his fans will be batting around for many decades. What is certain is his dogged striving for truth, that most formidable of moving targets. Poetry might not always be political, but it was always a matter of conscience. That was clear even to his Communist interrogators, who summoned him for the occasional chat throughout his long existence. After one such pointless Q-and-A, which found the poet dodging, weaving, or playing dumb, the weary apparatchik wrote: "After all, he is a man with a considerable dose of honor." 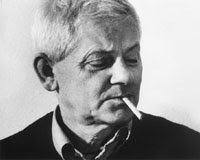 Although he never quite attained the fame of his compatriots Czeslaw Milosz and Wislawa Szymborska, the late Zbigniew Herbert was one of the giants of contemporary Polish letters--not to mention European literature at large. His witty, superbly ironical verse flourished in the face of totalitarian censorship: indeed, with its overlay of parable, allegory, and deadpan allusiveness, it seemed almost to be nourished by the ideological obstacle course of 20th-century Poland. But Herbert was an equally gifted essayist. The pieces collected in Barbarian in the Garden and Still Life with a Bridle are wickedly intelligent and unfailingly humane. And even when the author is letting loose with a satirical dart, his imagination always functions as "an instrument of compassion." The King of the Ants combines his twin vocations. That is, these are short prose pieces, which Herbert called "mythological essays." Yet the form itself--in which he takes apart the classic myths and expertly tinkers with their innards--has the speed and epigrammatic suavity of his best poetry. Here, for example, is Herbert's take on Atlas, whom we might call the king of mythological heavy lifting. "The whole character of Atlas, his entire being," Herbert writes, "is contained in the act of carrying. This has little pathos, and moreover it is quite common. The titan reminds us of poor people who are constantly wrestling with burdens. They carry chests, bundles, boxes on their backs, they push them, or carry them behind, all the way to mysterious caves, cellars, shacks, from which they come out after a moment even more loaded, and so on to infinity." Herbert is no less intrigued by Antaeus, who went head to head with Heracles himself in a celebrated wrestling match. On one hand, he tries to visualize the actual bout, taking his clues from accounts by Plato, Pindar, and the Renaissance miniaturist Antonio Pollaiuolo. But it's the metaphorical implications of the match that really get him going--the way it reverses our usual image of victor and vanquished. His subject, he reminds us, "had to overcome the concept, deeply rooted in us all, of what we call high and low, the elevation of the victor and the throwing of the defeated down into the dust. For every time Antaeus was lifted up, it meant death for him." In the author's hands, these musty figures become almost alarmingly contemporary--and entertaining. And while he never weighs down his essays with philosophical ballast, they do contain more than their share of casual wisdom. Like the philosophers he mentions in the title essay, Herbert too had "the not very tactful habit of teaching others how to live." In situations such as these, the prospect of personal transcendence is largely a myth. Mr. Rieff, whose relationship with his famous mother remained on the rocky side, would operate within his own, very human limitations. So too would Sontag, whose confidence in her own survival amounted to a kind of personal religion. She simply would not accept the fact of her impending death. Back and forth Mr. Rieff goes, unable to decide whether her final struggle was admirable--a testament to her "childlike sense of wonder"--or a self-destructive folly. The answer may be both. But that's not satisfactory for the author, who keeps dredging for something better, even as he admits that language is inadequate to the task. On the very day of her diagnosis, Mr. Rieff recalls, this weakness was cruelly exposed: "What my mother and I shared were words and yet now they felt all but valueless--like Confederate dollars or Soviet roubles." You can read the rest here. You can also read the interview I conducted with Susan Sontag in 2000, just around the time she published her final work of fiction, In America.